Time lapse video. 1 frame every 4 seconds x 200 frames. Eight seconds of video in all. Canon 5D mark 2 with 24mm f1.4 lens and polarising filter. Set at f8 and ISO 320. This was a first for me. 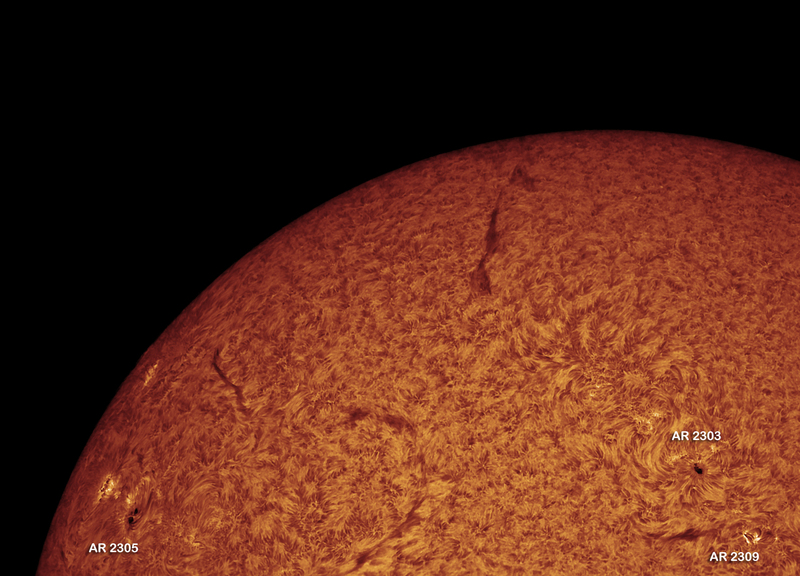 First time I successfully managed a Hydrogen alpha image with a zoom lens (TeleVue PowerMate x 2.5). Previous attempts were usually curtailed by cloud or suffered from a lot of dust motes and an artefact called Newton’s Rings. In this case, I had both dust and artefacts but used a flat frame to subtract them from my image which worked very well. I also used Thierry Legault’s tip to tap the scope when taking the flat frame as this causes vibration which blurs out any residual image from the Sun. Celestron 1000/102mm scope with 70mm Ha filter. Ioptron ZEQ25GT mount with Hinode guider. 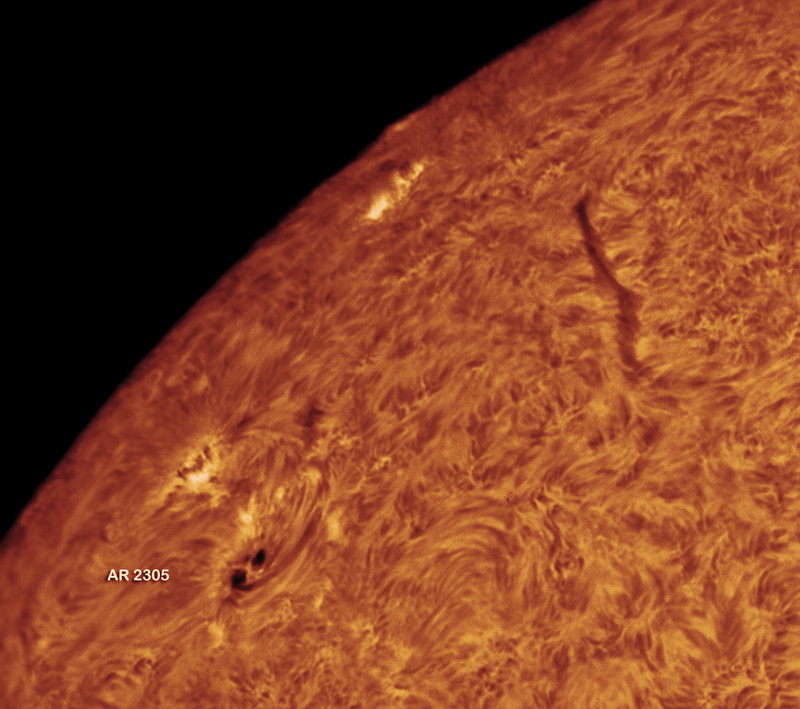 Just a couple of interesting sunspots today. 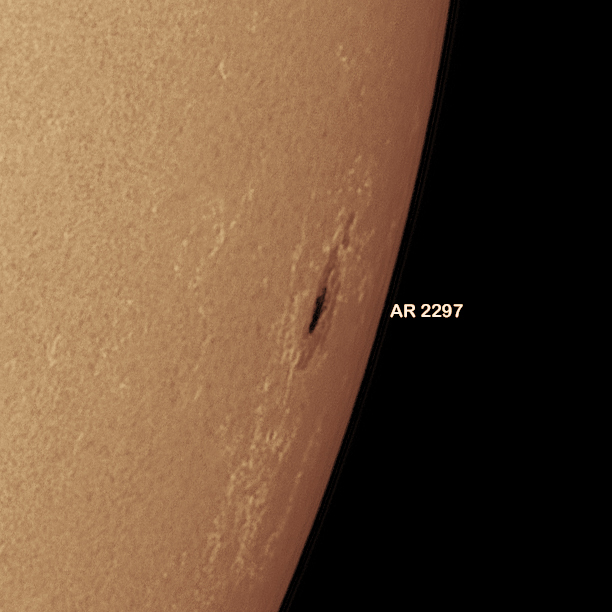 AR 2297 is important to catch since it was the sunspot that ejected the CME that caused the strong aurora on March 17th. 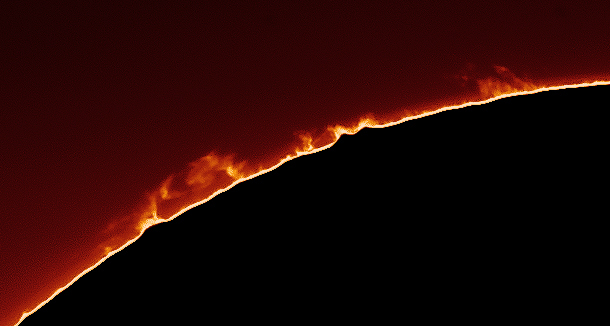 It has almost rotated away from us but just caught it on the Western limb of the Sun this AM. 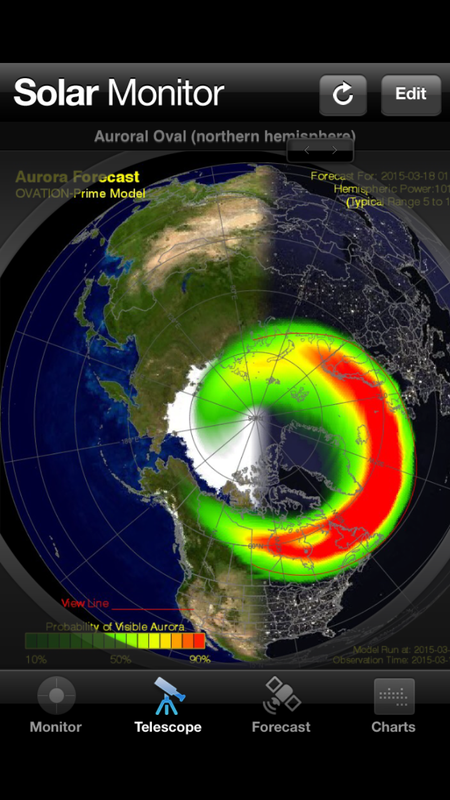 Its surrounded by an extensive area of light coloured faculae which is the only clue in white-light that there is a strong magnetic field around it. 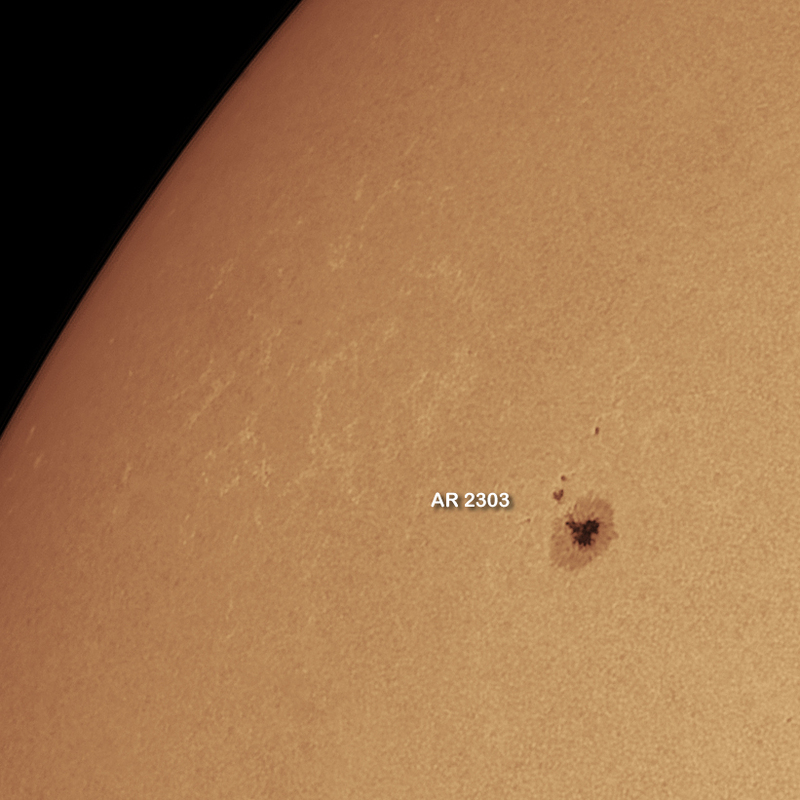 AR 2303 is just appearing on the Eastern limb and I suspect a lot of people will be using it tomorrow to sharpen focus if they get a chance to image the Sun during the eclipse. Celestron 1000/102mm refractor with Herschel wedge. TeleVue 2.5 x Barlow. 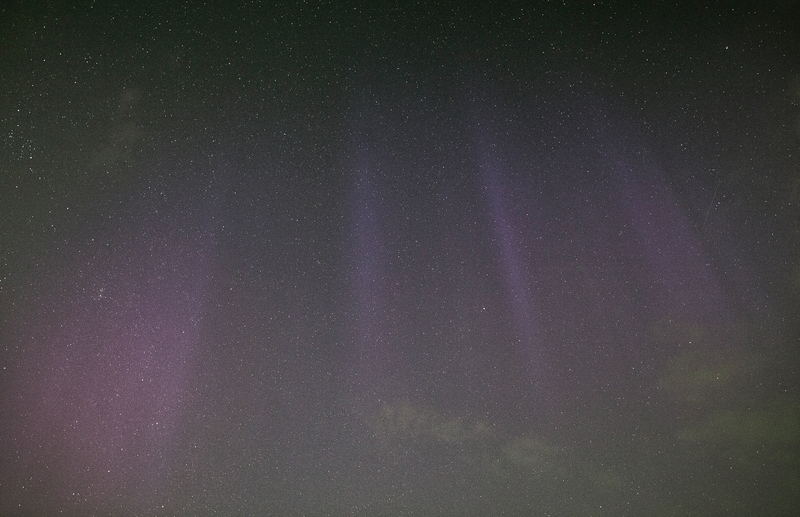 I thought I could see activity directly above me, so I took an exposure pointed towards the Zenith. 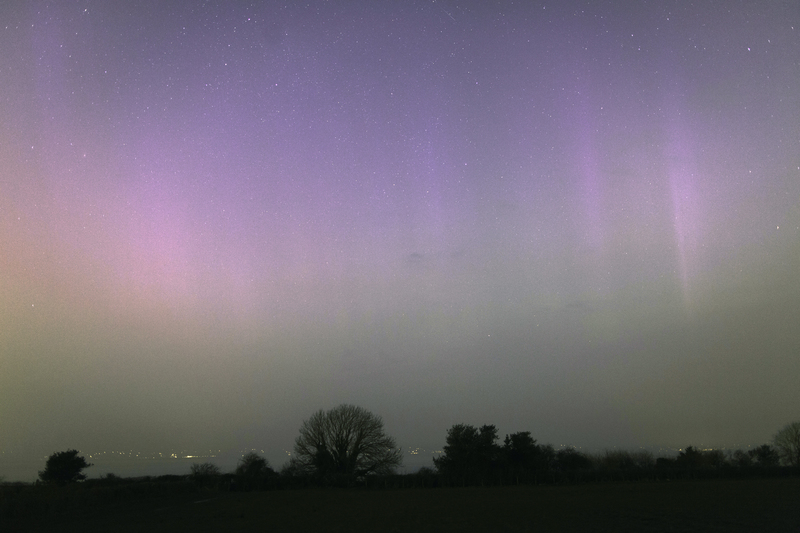 Ballykelly, just outside Limavady, Co. Londonderry. Canon 5D mark 2 with 24mm f1.4L lens with remote shutter cable and tripod. 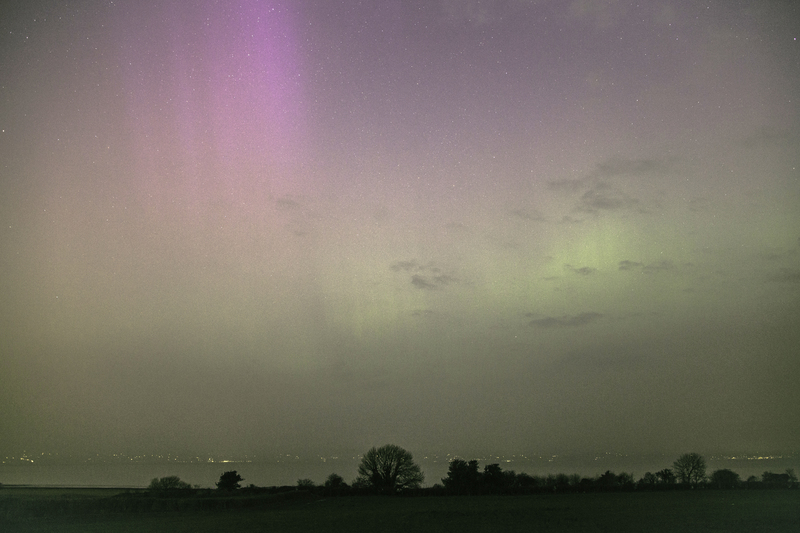 Looking North over the Foyle to Donegal. 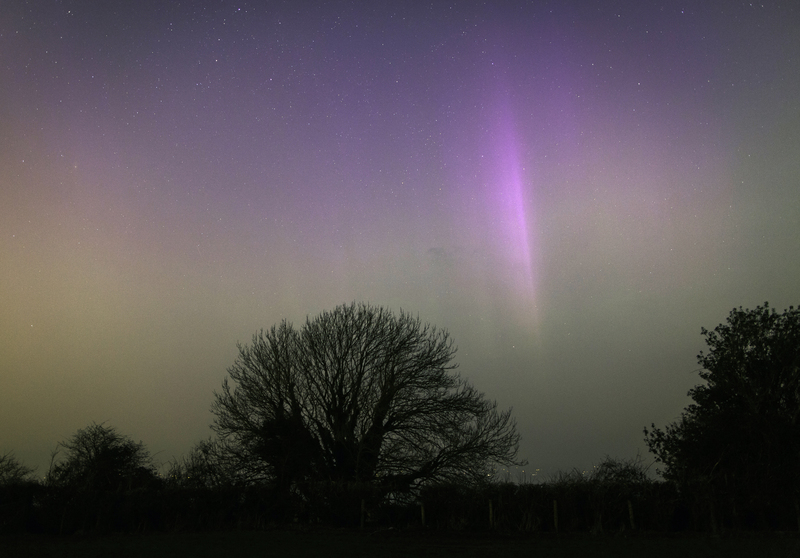 A Coronal Mass Ejection from the Sun resulted in a very powerful major geomagnetic storm today. 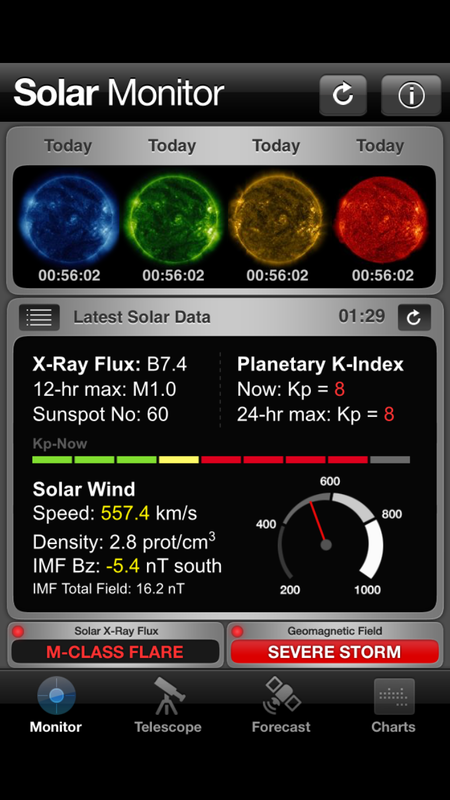 Ive been following space weather for about 6 months now and this is the first time Ive seen the Kp index = 8 and the Interplanetary Magnetic Field get into the 30 nT range overall with about 17 nT in a Southerly direction. Like 2 bar magnets coming together with the same poles aligned, if the IMF is Northerly, the charged particles from the CME are repelled but if the IMF is Southerly the particles attract and they are more likely to get through.